It’s a Saturday morning in New York City and I don’t have to work. What to do. The world is my oyster. Here’s what I have been doing! 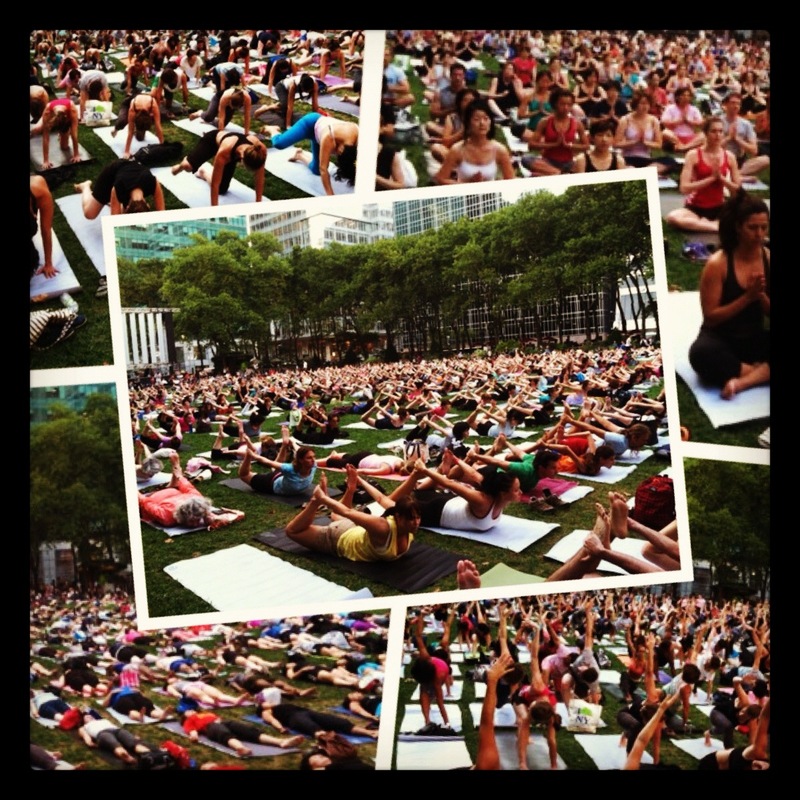 Last Thursday ago I went to Bryant Park Yoga again. I mean WOAH. We counted 603 people. Unbelievably amazing. It was constantly giving me chills. So many people of every race and age. So many people who didn’t even speak English and followed those around them. We had kids, guys practicing in their suits, everything. At one point they did tree pose and all linked arms over each other. This was so powerful to me, so uniting. Shavasana at the end was as well. All of these people lying peacefully and silently just a few blocks from Times Square. Thinking back on it I really felt great the whole time. I wasn’t sure how I’d like the loops because I don’t like repeating routes, but it felt good. I can’t say the same for how my hips felt the next day. I’ve been getting myself on the foam roller more often to help my IT bands. I need to get my next long run planned. I got a wonderful surprise that one of my best friends was going to be in the city Sunday, and I didn’t have to work so I could see him! Ryan’s friend here lives in Herald Square right by the Empire State Building. 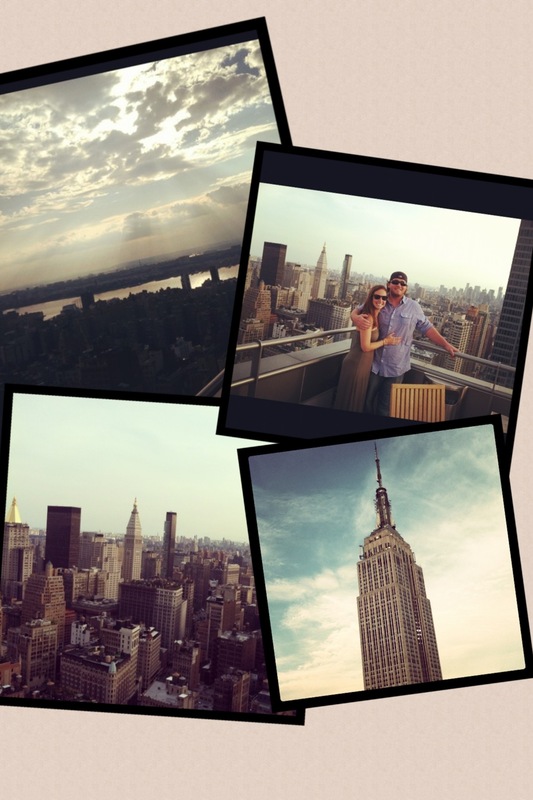 He has phenomenal views from his apartment. So incredible. We watched the sunset and even saw some fighter jets doing a fly over, though we couldn’t figure out what for… MNF was in Philly, so potentially they were playing around here before heading there. No idea really. I’ve spent most of my week doing yoga at Virayoga and YogaWorks. All different but great classes. YogaWorks has some great beginner classes that I like taking from time to time, just to get back to basics. The classes I took at Vira were a bit more anusara based. Longer holding, less flow. This is challenging for me as I prefer and am used to more of a vinyasa flow, but it makes for a practice in which I really have to focus, and in the end I enjoy them and my body and mind feel amazing. I also got in a 4 mile run Wednesday night with the store’s run club. 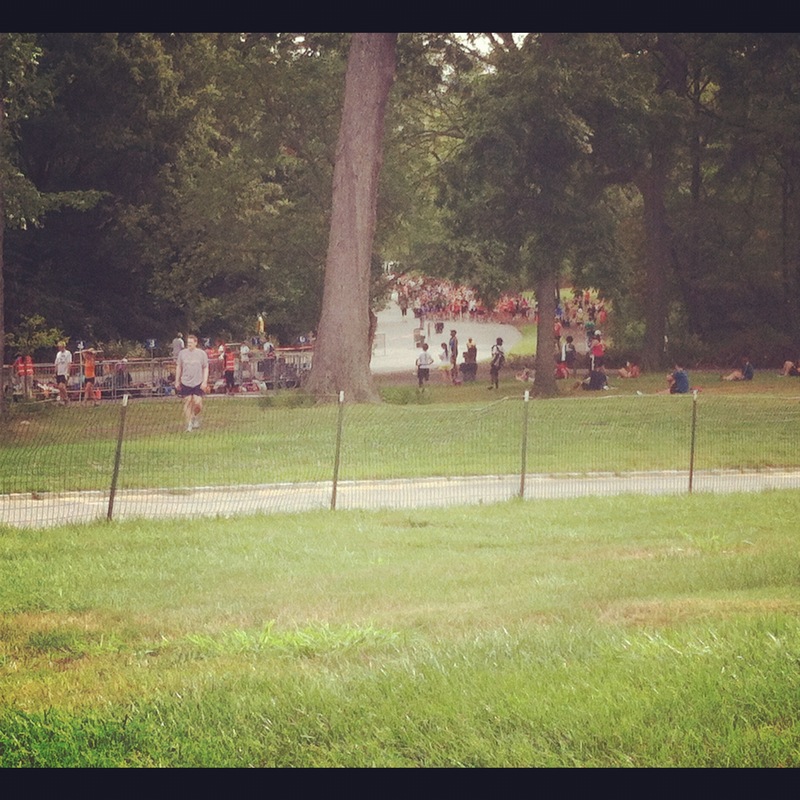 We ran downtown and out along the Hudson. This is definitely my favorite place to run! Oh and l had another celebrity citing last night! 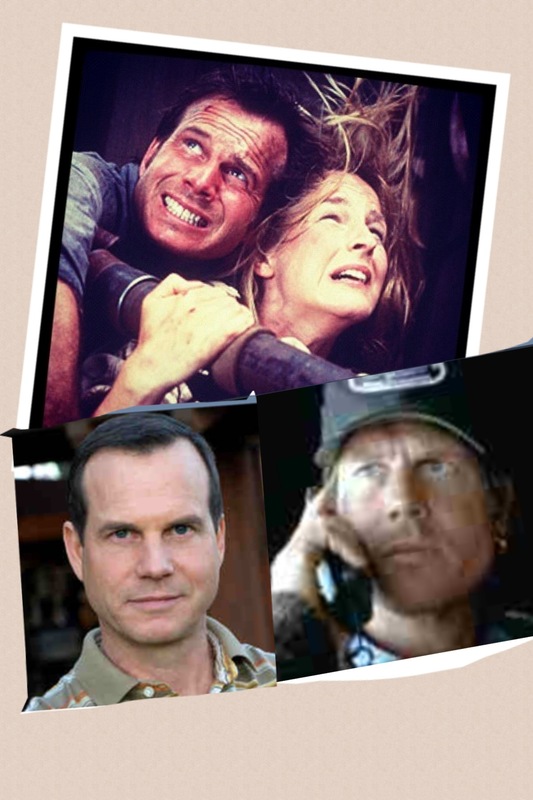 Bill Paxton. Literally passed him on the street in Union Square. He was rocking a pretty sick mustache. Mustaches are so in right now, at least in NYC. Ok off to do something fun and amazing!